Wishing you and your fur families a safe and joyful festive season! Gallery - Show us your fur family photos and WIN! Frequently Asked Questions - How can I treat my pets safely at Christmas? What's most fun for him? Everything! He's my friend till the very end! 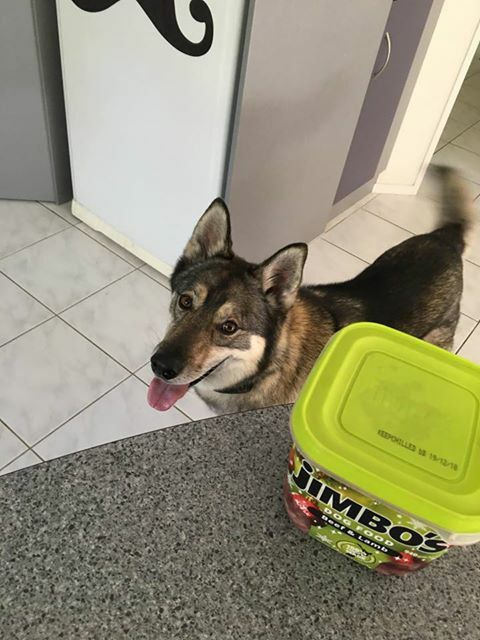 We love seeing photos of your Jimbo's-loving pets. 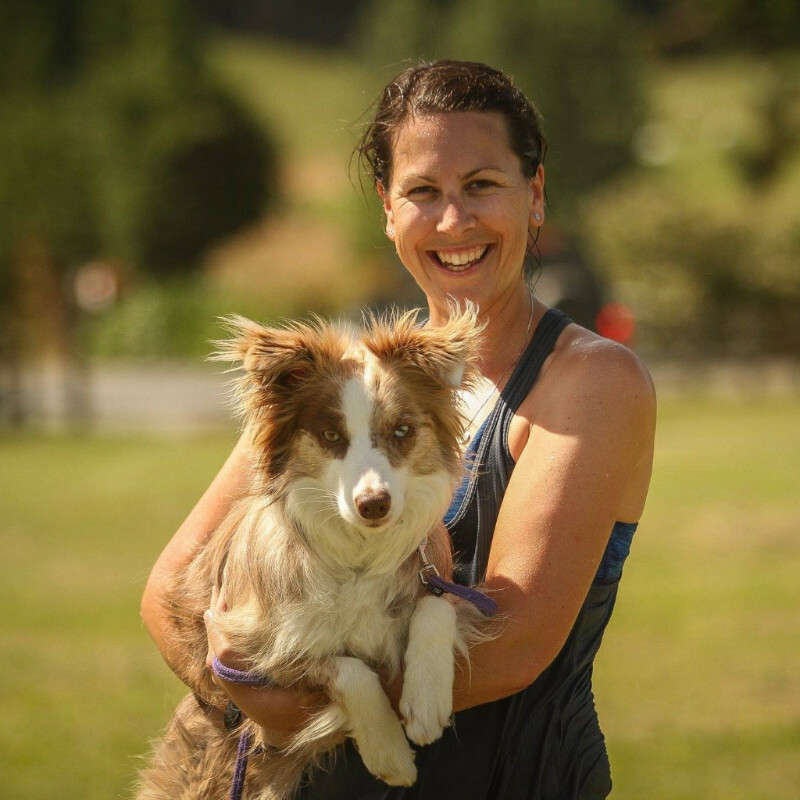 You can click here to send in your fur family photos to our online Gallery and you will go in the monthly draw to WIN $30 of Jimbo's vouchers! 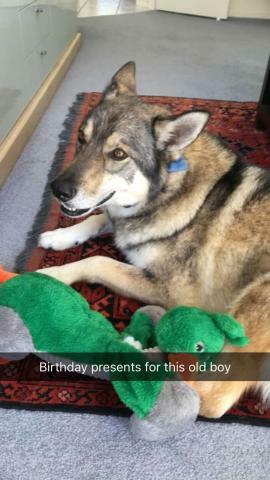 Congratulations to Victoria from Auckland for winning November's gallery draw with this gorgeous photo of Odin on his 7th birthday. Happy Birthday, Odin, from the team of Pet Lovers at Jimbo's! In our last newsletter we asked you to send in photos of your pets enjoying our two festive products. 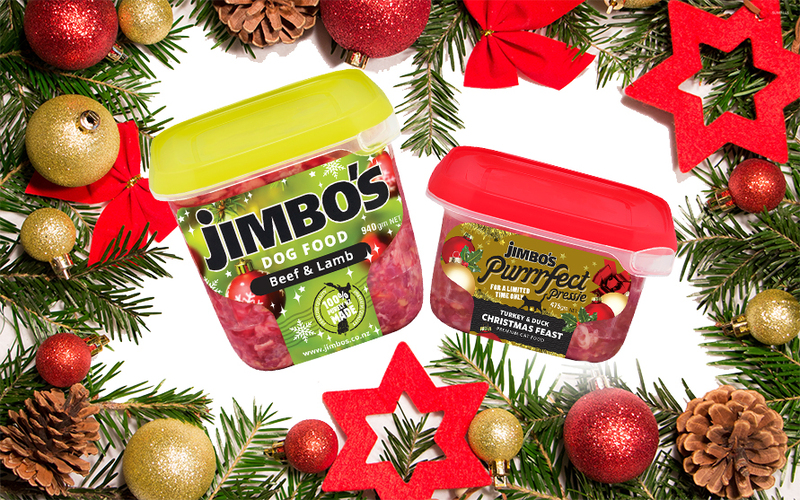 Congratulations to Victoria from Auckland and Debbie from Hastings who have each won a Jimbo's goody pack worth over $40! Here are their pets getting excited for our Christmas goodies. "How can I treat my pets safely at Christmas?" 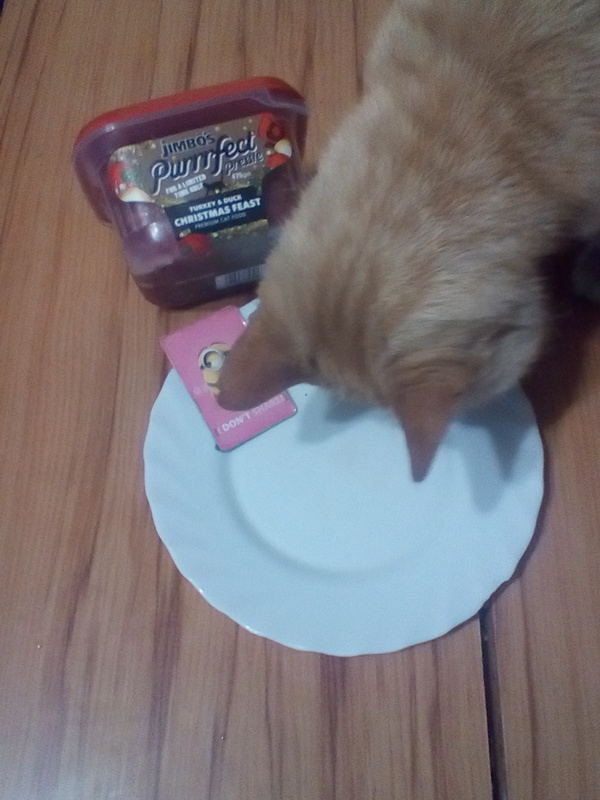 For many pets, Christmas is a time of extra treats and titbits. This Christmas we are encouraging you to share the love, but to also remember that lots of human goodies are not actually so great for our fur family. Chocolate and other high-sugar foods can be harmful (even toxic! ), and calorie-rich treats that might seem small can actually go a long way to contributing to weight gain in our pet pals. Show your pets how much you love them this Christmas with pet-appropriate goodies - Natures Goodness grainfree Treats or the festively-wrapped Beef & Lamb dog food will make a great addition to a canine's Christmas Day, and our Purrrfect Pressie Turkey & Duck Christmas Feast and Fussy Cat grainfree Treats are just what our feline friends are hoping for. It is not always possible at this busy time of the year to take dogs for long walks. Here are some suggestions on alternatives that can be used to keep your canine companion mentally agile. Food puzzles and enrichment activities. These not only keep your puppy entertained (and not eating your shoes), but also teach problem-solving skills. Cooperative care. Teach them to be comfortable while being handled. This will set you in good stead for future vet visits. Reward with treats while you pretend to do various handling activities; grooming, nail trims, touching their legs, checking their teeth, etc. Life skills. Teach them good habits before they have time to develop bad habits. Have your dog wait at a door until you ask them to go through, keep them sitting on a bed / platform until they are released. Which of the following is NOT a healthy treat for my pets this Christmas? Congratulations to Emily from Auckland for winning last month's multichoice question competition. Thanks for reading guys, have a fun-filled festive season!